Today is a special day - but also a bittersweet day. 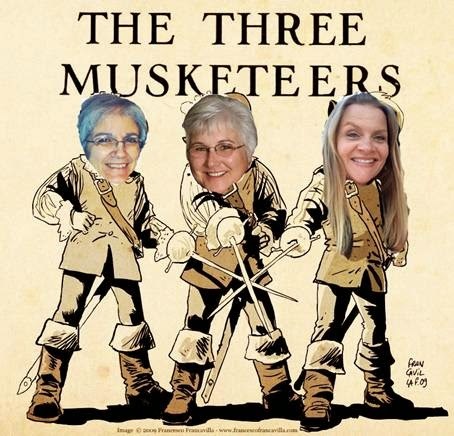 On February 9, 2010 a group of friends started a challenge blog. Perhaps you were there on our very first week. Perhaps you've played along a few times during the past 17 months. Perhaps you've never heard of us and have missed the fun. We are the Crafty Ho's and our challenges have continued weekly since that first post in February of 2010. But as often happens with things such as these, life has a way of getting too busy... and good things fall along the path of busy-ness. That is the case with the Crafty Ho's Challenge. We will miss presenting challenges for you each week, but we will always treasure the memories we've created along the way. 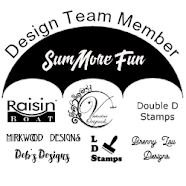 To celebrate our time together, we have invited all past designers as well as some close friends to have a Crafty Ho's Anything Goes BLOG HOP this week... along with some really awesome PRIZES!!! 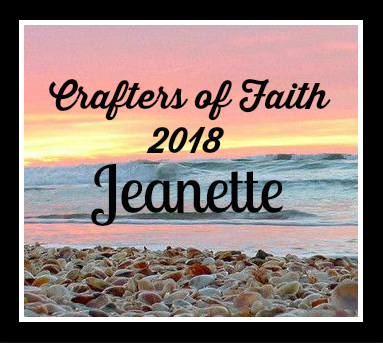 Be sure to check the Crafty Ho blog for ALL the details... and leave comments along the blog hop so you can have a chance to win a prize!!! In fact, you should have arrived here from the Crafty Ho blog because I am the first of several stops along the hop. I wanted to make this post EXTRA special so I've hang on and check this out. A simple little pack of designer paper. Yep! That's what it is. However, you may not realize it, but this is a treasure! I moved last month and have only had a couple of weeks to go on treasure hunts in my new town. And this is what I found on one of the hunts, for a mere 25 cents. Well, this blog post is fast approaching epic proportions, so it's time to cease typing and send you on to the next blog on the blog hop... Rae Anne! 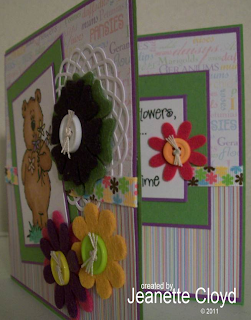 And don't forget to leave a comment and check out all the blogs in the Crafty Ho's Anything Goes Blog Hop. 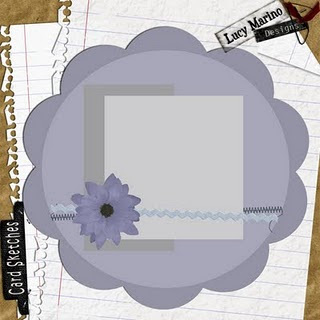 As you know, I have been a guest designer for Paper Cupcakes this month. It's been a blast - the icing on the cake has been the opportunity to get too work with Nina, the owner of Paper Cupcakes, and some incredible women (the Design Team) who are so so creative. Well....... 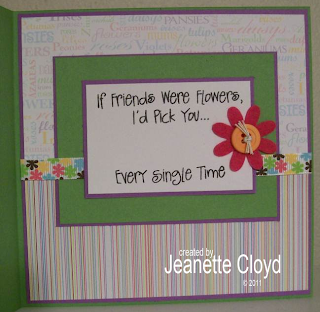 I was supposed to post a card Tuesday morning for this week's challenge. It's all about LAYERS! 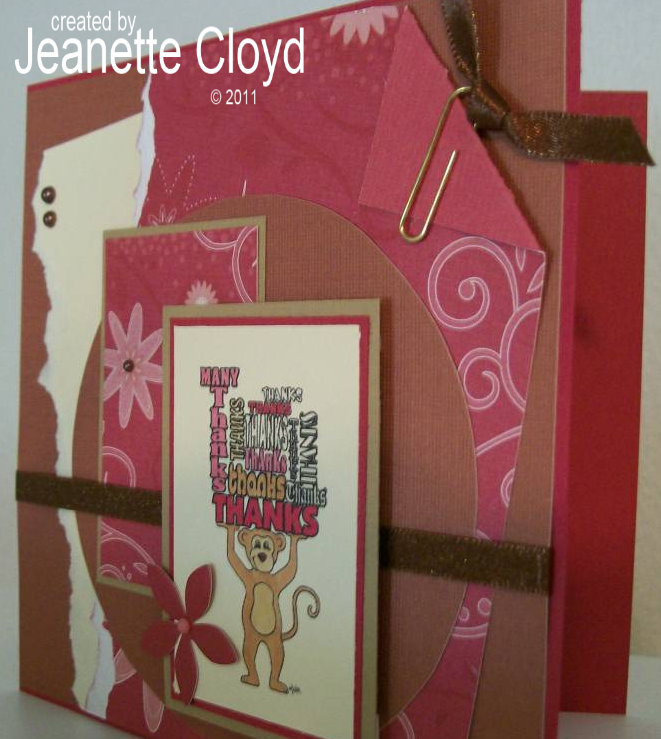 Participants are encouraged to used lots and lots of layers on their cards. I created my card and my blog post (scheduled it to go live), and then never made it to my own blog to see that it all worked as planned. BIG mistake. I just discovered it didn't work. UGH!!! THE GOOD NEWS IS............ there's still time for all of you who are checking out my blog to play along in the Paper Cupcakes Challenge! 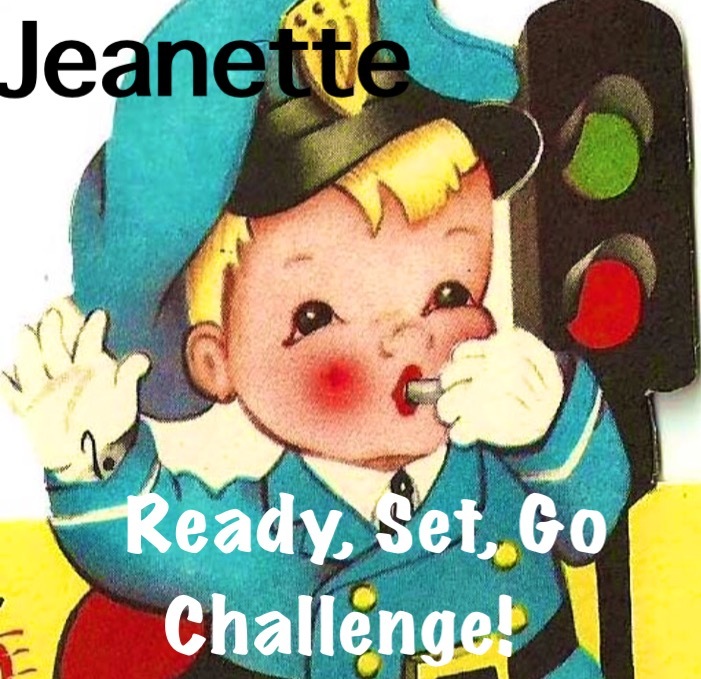 The Challenge doesn't end until Sunday, July 31. 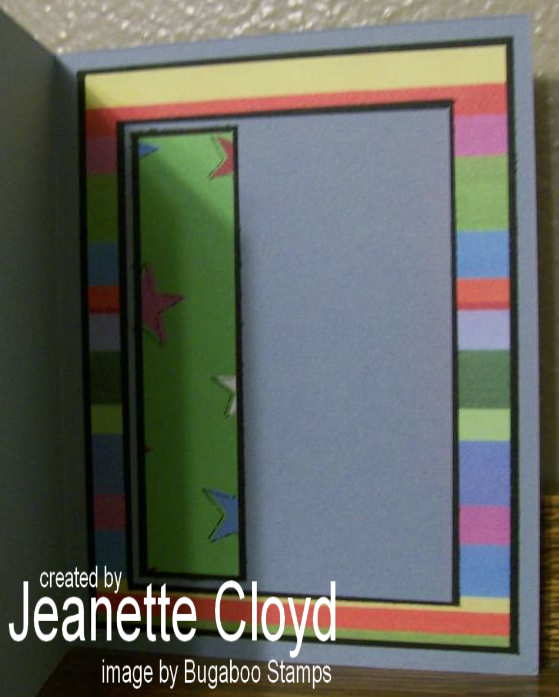 If you count the card base, my card has 10 layers. 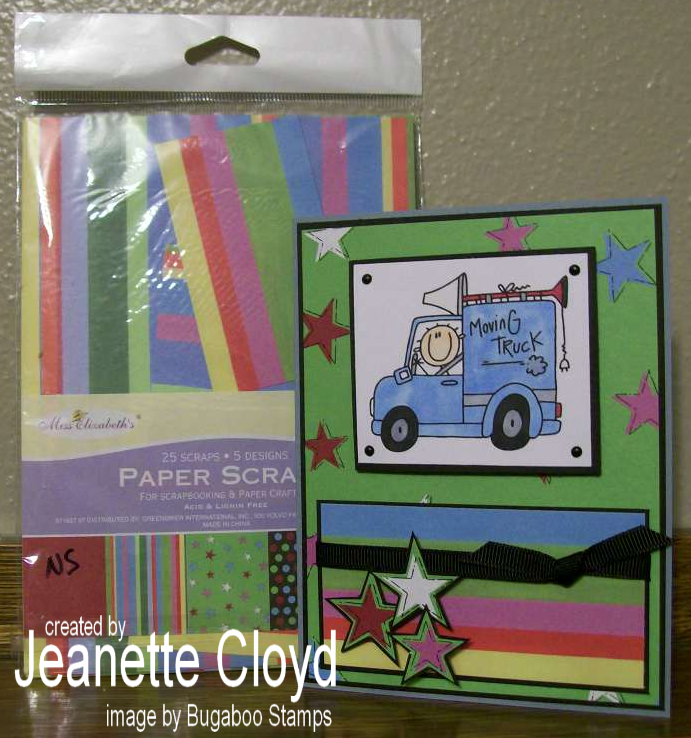 I hope you will check out the Paper Cupcakes Challenge and have fun layering, too! 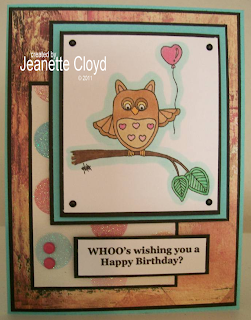 I am delighted to be able to participate as a guest designer for the Paper Cupcakes challenges this month. There's Magic in the Air! The image I used is the Paper Cupcakes Orson Many Thanks image. There are so many possibilities with this sketch. 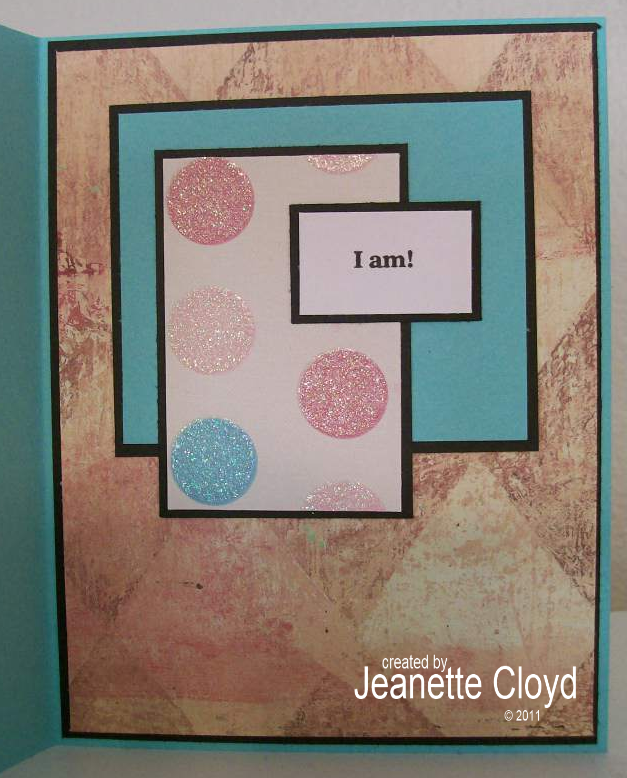 I can't wait to see the cards that you and the other crafters come up with. Have fun with it! Today is the 15th so that means it's time for the Dueling Darlings to post their creations. YAY! What's a Dueling Darling? I am! Tee Hee! 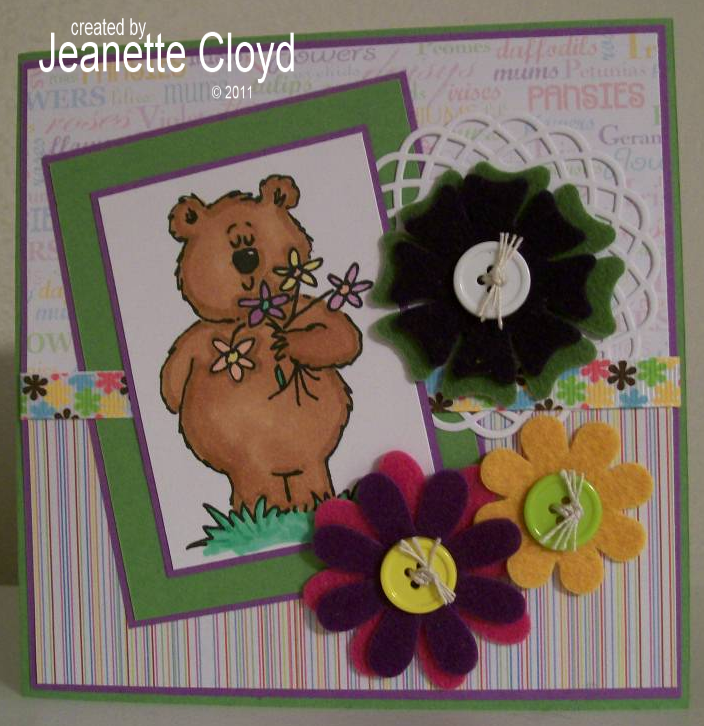 The Dueling Darlings are two groups/teams of crafters. Each team has a hostess for the month (this month Terry is the Dazzler hostess and LJ is the Diva hostess). 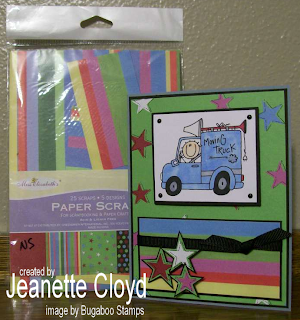 The hostesses choose a theme and send out card kits to their team members based on the theme chosen. Neither team knows what the other team is using. While I love creating with these very special kits, I think I enjoy seeing what each of the Dazzlers and Divas create even more! Soooooooo after you've checked out my card, let's go to see what the other ladies made, okay? I hope Terry likes my card!!! The challenge that Terry and LJ included in this month's Dueling Darlings is tht we are to share a story or memory of a good friend! That's kind of tough for me, because honestly I don't want to narrow it down to one friend. 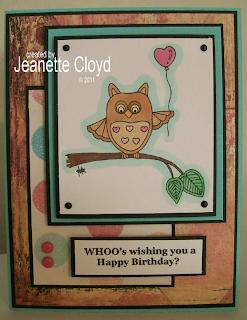 Instead I'd like to mention my forest friends over on Splitcoast Stampers. That's the group of chatty swappers that participate in my card swaps. They have become such dear friends to me over the past couple of years. We laugh together; we cry together, too. We tell funny stories of what's going on in our lives; we share our burdens, too. We cheer each other on; we lend a shoulder to cry on, too. We are there for one another. That's what friendship is about! And I'm so glad the forest friends are in my life!!! 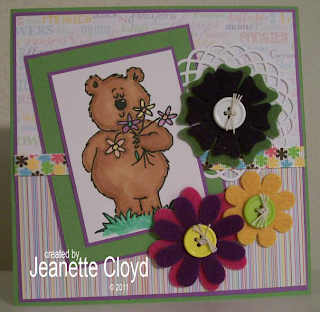 Image & Sentiment: My Favorite Things Fred Bear "Oopsie Daisies"
I am sooooooo excited! Today is an incredible, marvelous, wonderful day!!! As you know, I have been in the midst of a move. It has taken a long time - and I still haven't unpacked my wonderful toys nor set up my new stamping space which will be lovingly called my Cubbyhole. However........ 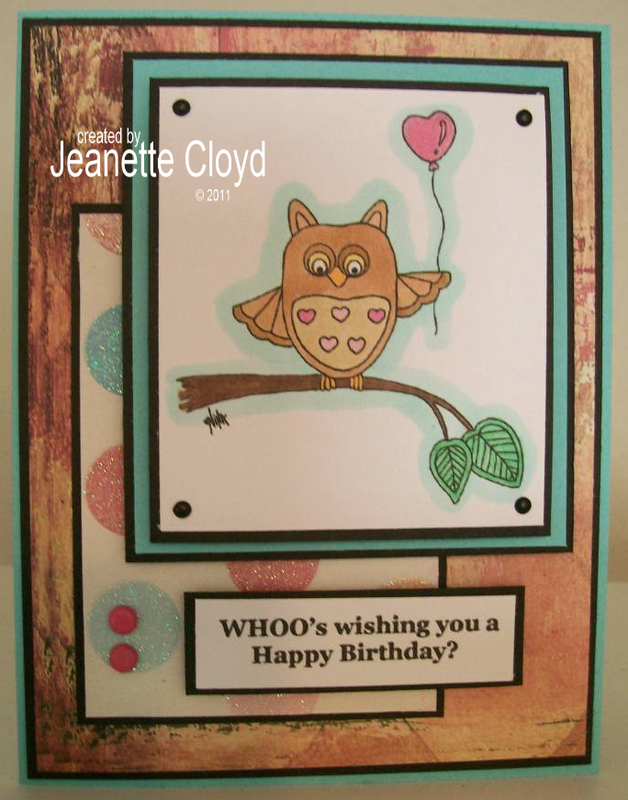 I did get the opportunity to make a card!!! 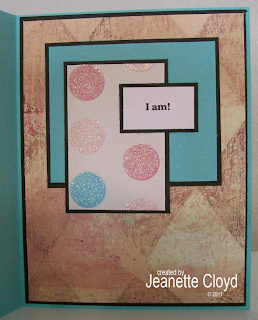 I hadn't done that in about a month - and even though I had to sit at my kitchen table and use very limited supplies that I could find in my chaotic mess of a stamping supplies - it felt soooooooo good to create!!! I now remember why I love this hobby so much - it is so relaxing to sit and color and play with paper, etc. I must give a GREAT BIG thank you to Nina for forcing (ummmmmmm... that might be too harsh/strong of a word, she didn't force me really) to create. See, it happened like this. 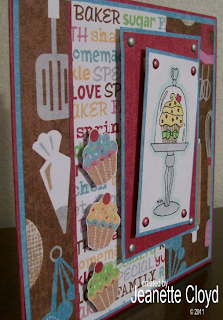 A few months ago, Nina asked me to be a Guest Designer for Paper Cupcakes. I had no clue I'd be moving the end of June, so I excitedly said yes. Then the move entered my life. LOL! Nina graciously offered to let me out of the commitment I had made, but I asked to be allowed to continue, thinking I'd surely be ready. So, ready or not, here I am! Pinch me to see if I'm dreaming! Woo Hoo!!! 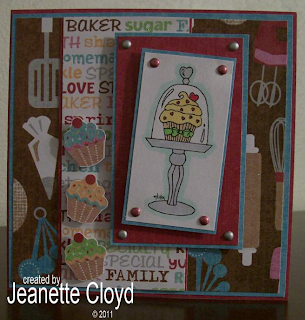 I really AM a guest designer for Paper Cupcakes!!! Isn't that awesome!?!?!? THANK YOU, Nina!!! If you have never heard of or check out the Paper Cupcakes store, you really should go there. WOW! Nina has some of the cutest digital images!!! There is also an incredible gallery there, where you will surely find all kinds of inspiration for your own creativity. 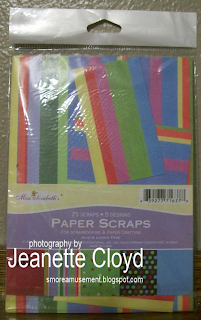 Nina also has a challenge blog, where each week participants have the opportunity to showcase their papercrafting projects. This week's challenge is BIRTHDAYS! 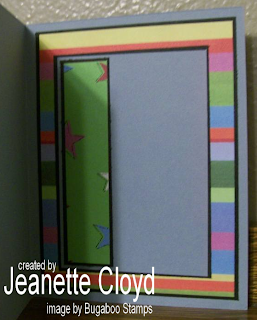 Participants are to create birthday cards! I generated the sentiments on my computer and transformed this card into a Birthday card without any difficulty at all. 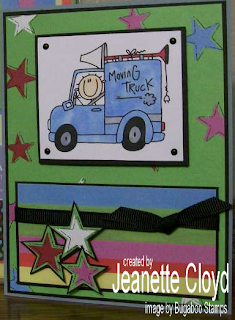 I sure hope you'll join the birthday fun and make a card for this week's There's Magic in the air with Paper Cupcakes Challenge! My son Brock and I had planned to celebrate the birth of our nation with a picnic at the park in our new town, but it's raining, so here's Brock, enjoying his picnic at the kitchen table. LOL! In case you wonder where I've been, let me tell you... it is a lot of work to move. Tee Hee! I do love to move, though, so it's all good. We moved in 6 days ago, and I'm making progress in the unpacking. Most rooms inside the house are up and functional, though each room still has a few boxes to be unpacked and put away. This house is much MUCH smaller than our previous home (half the size, in fact) so there is no room for my crafting space. My husband and I looked at things creatively and decided to take one bay of the two-car garage and line it with shelves (we have lots of those, due to the downsizing of our online book business). This area will become my Cubbyhole, perfect for stamping except in the most cold spells. It will also provide space for storing our many many boxes of Christmas decorations. Tee Hee! Everywhere you look in the entire 2-car garage, there are boxes and shelves sitting every which way. What a job this is going to be!!! And just so you won't think that's the way the entire house looks (me-oh-my! ), here is my office area of the living room (a work in progress, but much tidier than the garage/Cubbyhole area). Okay, I must get back to my task of unpacking. EEK! So much to do, so little time. 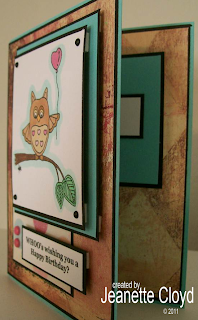 I want to get things finished and my Cubbyhole set up, so I can start stamping again.